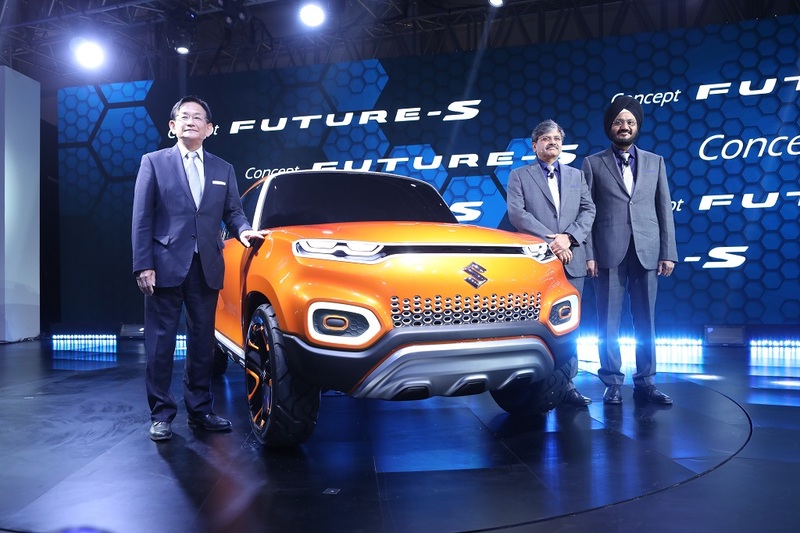 New Delhi, February 7, 2018: Delhi Auto Expo 2018 kicked off in style with the global premiere of Maruti Suzuki #ConceptFutureS here today. With its unique aggressive stance and posture and bold and exciting interiors, ConceptFutureS is set to redefine compact vehicle design in India. Designed in-house by Maruti Suzuki, ConceptFutureS epitomizes the next level of design evolution in terms of proportions, body sculpting and stimulating fusion of bold patterns and superior accent colors. Smartly integrating SUV features in compact dimensions without disturbing the proportions, ConceptFutureS marks a step up in design language. 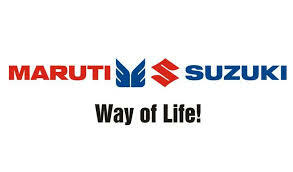 Unveiling ConceptFutureS, Mr Kenichi Ayukawa, Managing Director & CEO, Maruti Suzuki, said, “Compact is the natural choice of India’s car customers. Compact needs a fresh design language, one that is bold, confident and dynamic. Our designers have created this brand new design, aggressive on the outside, and bold and inviting interiors. Nothing like this has ever been attempted before on a vehicle this size. 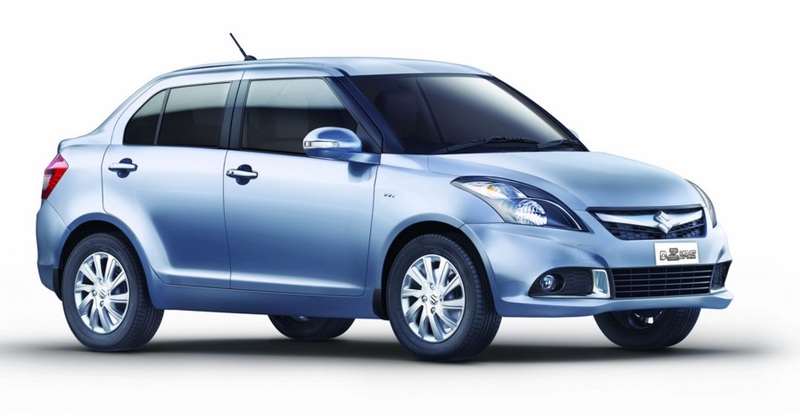 ConceptFutureS will define the next generation of design for compact vehicles in India”. The upright stance, commanding higher seating and ground clearance, along with the horizontal hood give ConceptFutureS a unique aggressive stance and posture. The urban SUV image is strengthened by the bold and upright front. A unique A-pillar treatment playfully connects to the accent on the side sill, the taut powerful shoulders and a raised rear volume, to give a dynamic appeal. Managing SUV characters in compact proportions is an uphill task that the designers have successfully achieved, lending ConceptFutureS a confident stance and an unmistakable SUV character. The sleek lamps housed in an accentuated enclosure give ConceptFutureS an imposing character. Interiors The defining words adopted while designing interiors were `bold and exciting’. The center concentrated design has a unique experience and overall styling makes it exciting in appearance. Strong structural elements in the interior provide the strength required by an SUV whereas layered wrap around design with dynamic lines make it exciting for the young urban customer. The Human Machine Interface (HMI) in the center is also a unique spherical design with layers of interface making it fun and playful to interact with the car. The ergonomical seats placement and styling assure comfort and safety to the riders. The bright orange body on ConceptFutureS exudes the bold, playful, SUV characters of the concept. In addition, the orange color with high chroma and luminosity give prominence and distinctiveness to the body shape. The contrasting `white accents’ smartly rendered on the A pillar, front, rear grill and side sill lend a playful appearance to the Concept. The designers have used white pearl glossy materials in the accent color to emphasize the playful look and emphasize the shape. The interiors of the ConceptFutureS are as inviting and impactful as the exteriors. The colour scheme is smartly carried into the interiors with ivory as the main interior color to give a spacious and futuristic look. An orange accent used aesthetically on Instrument Panel, Door trim and the seats goes well with exterior sheen and lustre. White accents on exterior energetically flow into the interiors along the A pillar and Instrument Panel. Carbon pattern on the center panel lends a strong structured feel.